One day each year at McDonald's restaurants across Canada, $1 from every Big Mac, Happy Meal and hot McCafé beverage sold goes toward supporting families with sick children. In 2017 this initiative hit its 40 year anniversary. The McHappy Day identity was old and didn't communicate the day clearly. It needed a refresh to breathe new life and fun into the day while educating people on what the day meant. Playing off the tagline "For the love of families" I took each relevant menu item and merged it with a heart to create a bold, unique glyph. 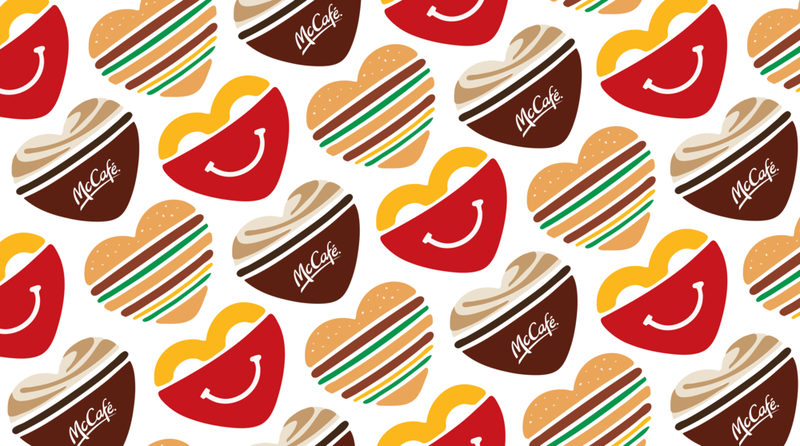 The idea was to fuse the function and the spirit of McHappy Day into a fun, modern, and versatile identity. 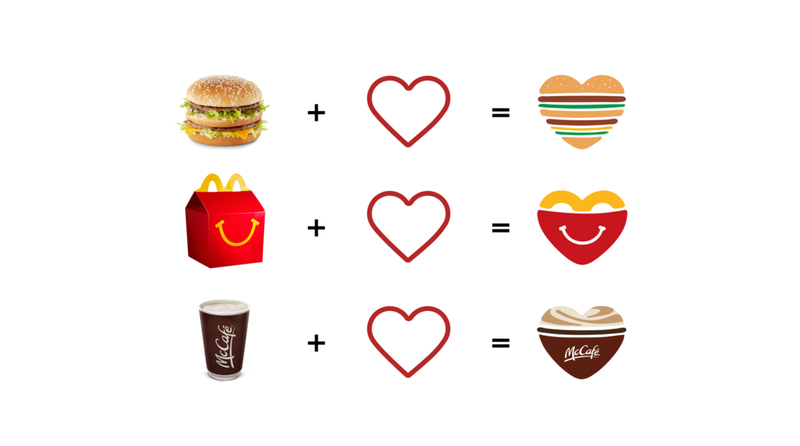 The Happy Meal glyph was used in the new logo as the main design element, with the McCafe and Big Mac glyphs used as supporting graphics. The response to the new identity was overwhelmingly positive. Funky socks, donation cards and a fun new snapchat filter made the identity an instant hit. With people fully embracing the new look, McHappy Day 2017 raised a record-breaking $5.6 million in support of the families at Ronald McDonald Houses and Ronald McDonald Family Rooms in over 440 communities across Canada.